Head injuries are some of the most common and most serious for motorbike riders across the globe – and they’re also some of the most preventable. This is often most evident in MotoGP and was none more so than at the 2014 Spanish GP at Aragon. In the wet, Valentino Rossi came off at over 60mph on a bend. His helmet came into contact with the ground and his bike during a crash that spanned more than 60 metres, yet he suffered nothing more than mild concussion. A good helmet will offer much more protection and support during a collision than a cheap helmet, so it’s not worth basing your decision on price and price alone. What helmet should I go for? There is a minimum standard for helmets in the UK and they must carry the BSI Kitemark and fulfil the criteria for British Standard 6658: 1985. However, this standard gives you no gauge on which helmets are better than others in terms of safety and protection. When buying a helmet there is no better advice than to look at its SHARP rating and base your decision on this as it determines which helmets are the safest. 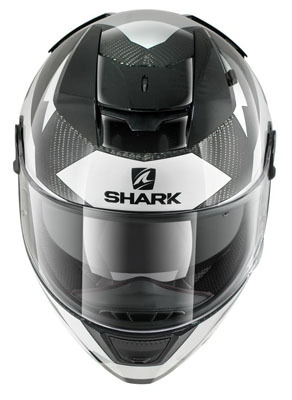 SHARP is a scheme launched by the UK government in 2007 after it found that up to 50 lives a year would have been saved had the safest helmets been in use during motorbike accidents. How does SHARP rate helmets? SHARP is an organisation that puts motorbike helmets to strenuous and thorough safety tests, similar to car crash tests that are much more commonplace. It then gives helmets a rating from one to five stars, with those helmets receiving five-star ratings being the safest. 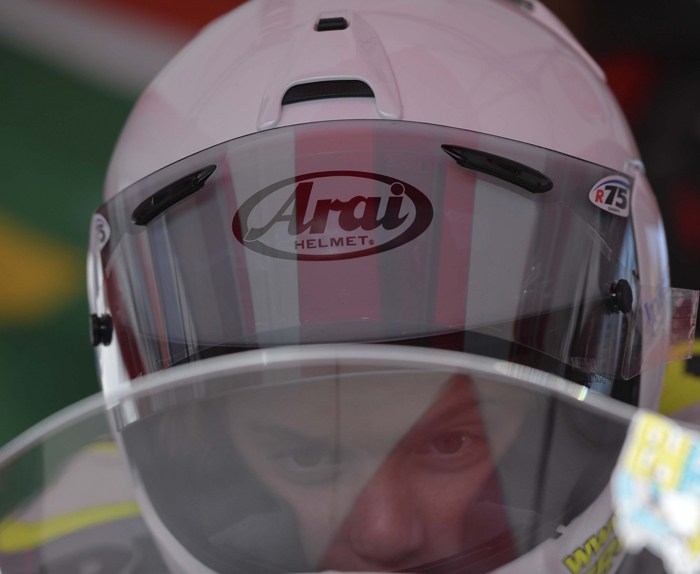 The helmets that are tested are purchased through high street retailers, as riders would, before they are put through their paces using head-on and angled impact tests. Using laser technology, each helmet is tested in exactly the same place, on the front, left side, rear and crown, at three different speeds, with 32 impacts required to form a rating. How can I check my motorbike helmet’s SHARP rating? You can check your motorbike helmet’s SHARP rating via the SHARP website. It doesn’t matter if your helmet is statistically the safest lid that has ever been built if it doesn’t fit properly. According to a study into European motorbike accidents, 12 per cent of helmets were lost during a collision and if it’s not on your head when you hit the ground, its five-star rating is pretty irrelevant. Therefore it’s vital that you try your helmet on before you buy it rather than guessing your head’s size. You should get your head measured and use a sizing guide to determine which helmet size is most likely to be the best one for you. 2. Fasten the chinstrap – two fingers should be able to fit beneath your strap, no more. 3. You should feel the helmet in contact with all of your head – there should be no gaps between the helmet and your head. 4. There should be no identifiable pressure points. 5. Wear it for a few minutes to check it’s comfortable. 6. Move your head from side to side – your cheeks should remain in contact with the sides of the helmet as you move. 7. Move your head from front to back – again there should be no wobble and your head should move with your helmet. 8. Tilt your head forward – get somebody else to push your helmet up at the back. If it comes off, it doesn’t fit. While you might want your helmet to look a bit prettier, modifications and personalisation can alter and affect its performance. If you’ve got your heart set on styling your helmet, consult the manufacturer or a professional. 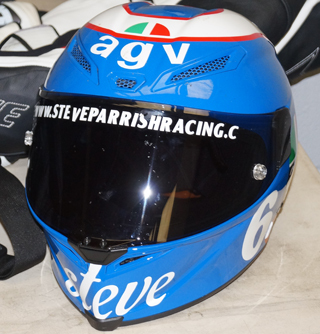 They will know what paints and adhesives to use so that your helmet is not damaged. As tempting as it is based on price, and as good as your used helmet might look, there’s no way of identifying any damage that could be lurking beneath. This is similar to lending your helmet to others – you don’t know what has happened to it while it is out of your care and it could be damaged without you knowing. You can buy visors to suit and fit your motorbike helmet, if it doesn’t already come with one. The advantages to a visor are obvious, they protect your eyes from flies and other road debris, including rain and wind. When buying a new visor to fit to your helmet, it must carry a BSI kitemark and meet the British Standard, or, alternatively, carry a mark equivalent to the Kitemark, for example a European equivalent. Tinted visors are illegal in the UK if they are 70 per cent tinted or more. While you’re unlikely to get pulled by police for tinted visors in daylight, when the sun goes down you could face three points. You should store your helmet when you are not using it. You should make sure it is stored in a place where it cannot be knocked over or fall. Similarly, keep it out of direct sunlight.